Your home has a mechanism that you use to control the temperature inside. This mechanism is called a thermostat, and you are probably familiar with using it. You set it to the desired temperature and enjoy greater comfort in your home. Let’s talk about how the thermostat works, what common problems there are and how you can make sure to have it work smoothly. A thermostat keeps constant temperatures going inside your home. 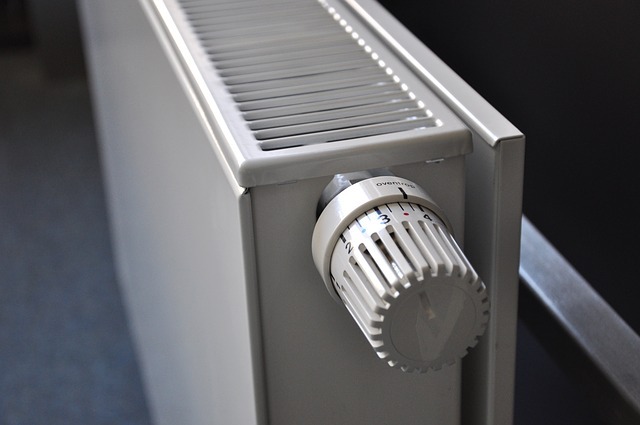 Once you set it to the temperature you want it at, it will make use of either the heater or the air conditioner to get the home to that precise temperature. It has a sensor that picks up the exact temperature of the room. When it picks up the current temperature it switches on or off like a light switch to get the heater or the air conditioner to get the room to the exact temperature desired. Today’s thermostats are made with smart technology. This type of technology allows the thermostat to learn the heating or cooling patterns in the home. It learns how long it takes to get to a specified temperature making it more of an automated process to keep the home at the greatest level of comfort at all times. These smart thermostats also work to use energy efficiently, so your heating and cooling bills are always more affordable. If the thermostat fails to display the temperature it could be that the breaker has tripped or that the battery is dead. Remove the cover and see if any dirt has built up or if there are loose wires or screws. When this happens, you want to check the thermostat for any dirt build up or a stuck anticipator. The heat anticipator signals the unit to turn on. If neither dirt nor the anticipator is the problem, see if the thermostat is receiving direct sunlight. This could be skewing the readout. Keep your thermostat clean and be sure that power is getting through the system. Dirt can cause several problems but all it takes is a gentle dusting every now and again to maintain the unit. Also, make certain that the thermostat is not facing direct sunlight. This can make your system operate at less than efficient levels. It can also make your home very uncomfortable. If you still have problems with your thermostat, contact a professional HVAC company. A technician from the company can inspect the thermostat and find the problem. AC Man Houston is here to serve the area and will do both repairs and maintenance to make your HVAC system work perfectly. Schedule an appointment today and keep your air conditioner and heater in excellent shape.